The use of a thermal fluid filtration system helps ensure a more cost effective, clean and efficient thermal fluid manufacturing production system. 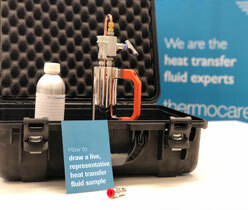 Regular thermal fluid testing and analysis will indicate a need for filtration. 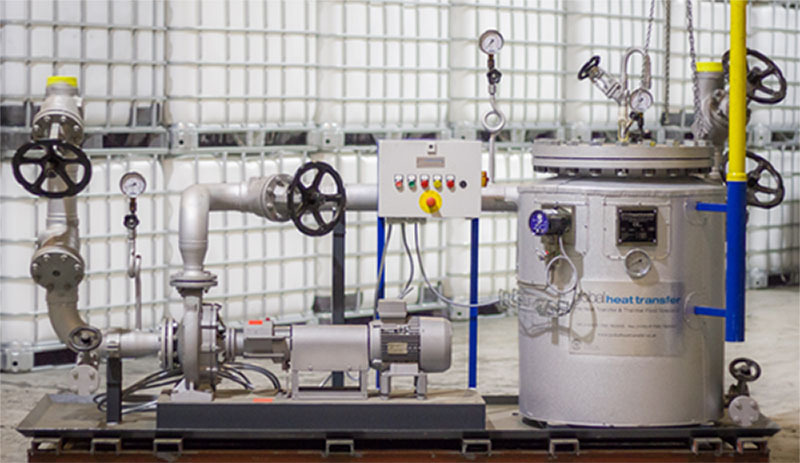 Global Heat Transfer provides special fine filter units to continuously remove small particles from the thermal oil in a heat transfer system. The debris can form from the internal pipe surfaces of the heat transfer system; wear from pumps and fittings and oxidation of the thermal oil. Often the solid particles are too small to be caught by the strainers in front of pumps and control valves and can cause performance problems in heat transfer systems. Solid particles cause fouling in the heat exchanger, the impact of which reduces heat transmission in heaters and machines; flow restriction and deposits in machines and heat exchangers; and excessive wear and failure of pumps, seals and valves. You draw the sample and we’ll test, report and interpret the results. Global Heat Transfer provide the complete solution for all heat transfer fluid related management and supply for manufacturers within Europe and Internationally.